Craving Good Produce? Our Guide to Louisville's Organic Farmers' Markets | Joe Hayden Real Estate Team - Your Louisville Real Estate Experts! Once you've tasted the difference between locally grown, organic produce and the stuff you find on most grocery store shelves, chances are you'll be hooked on farm fresh. The obvious pleasure farmers take in sharing their produce directly with their customers is contagious; that passion is part of the joy of shopping at the many seasonal farmers' markets in and around Louisville. 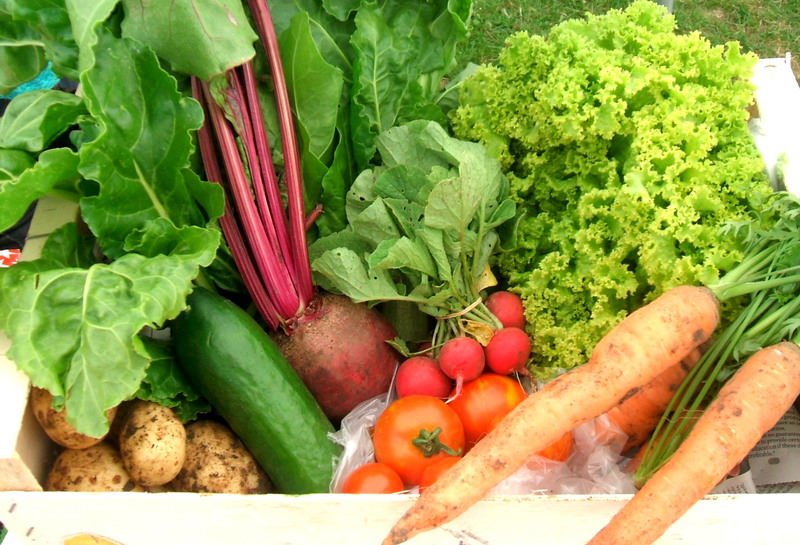 The blog Edible Communities has a complete list of farmers' markets in Louisville. While the list is comprehensive—complete with dates, times, and contact information for the two dozen markets that operate in and around Louisville—there's nothing on the site to tell you what is for sale, how many vendors there are, or whether the markets have live music or other entertainment. Another way to discover great farmers’ markets is to peruse reviews on Yelp. However, while the information you may get can be very site-specific, it is subjective and has not been verified by web editors. There’s nothing worse than heading out to a market based on anonymous online advice only to find that it is no longer operating. Here’s a handy and brief guide to Louisville's most popular farmers' markets. There are farmers’ markets on every single day throughout the spring, summer, and fall in Louisville. Twice a week, farmers gather at Oxmoor Center, bringing cheese, home preserves, and an astonishing array of heirloom and organic fruits and vegetables. While it officially starts after the Kentucky Derby in May, the Louisville Farmers' Market sometimes opens early and stays open late when the weather cooperates. Strawberries and asparagus kick off the season, while the market winds down in September with squash, tomatoes, and, of course, hot and spicy peppers of all kinds. In addition to the well-known Louisville Farmers' Market, here are several smaller weekday markets that attract commuters and busy professionals, running from mid-afternoon to early evening. These include the Bluegrass Global Growers' Market, the Old Louisville Farm Works Market, and the St. Andrew's Farmers' Market. The unique Bluegrass Market sells produce grown at the Americana Community Center by farmers from over ten countries, hence the “global” in its name. Many of the Bluegrass growers hail from countries where household gardens were the norm, so having the option not only to grow food but to develop relationships with customers by selling in the farmers market makes for a genuinely cross-cultural experience. Several Louisville churches have gotten into the Farmers' Market action. The Lyndon Farmers' Market pitches up at the Westport Road Christian Church on Thursdays between 3 and 6. In addition to produce, the market boasts Flour Power, Diane Dorian's whole grain bread and pizza crusts, Kandies of Kentucky's bourbons and liqueur candies, and the hand-milled goat milk soaps of Leslie Jackson of Kritter Haven. Another church-sponsored market, The Bardstown Road Farmers' Market, takes place at the Bardstown Presbyterian Church's parking lot every Saturday morning. Cut flowers, honey, and pasture-fed beef, lamb, bison, and pork are available fresh every week, direct from the farmer to you. No matter what day of the week you have a hankering for farm fresh food, you can find a market in Louisville. While all of Louisville's markets are seasonal, there is enough variety spread out across the city's 20-odd farmers’ markets that buyers will have a long way to go before getting their fill.